Happy Saturday everyone. If you are looking for the Rockin' Around the Christmas Tree post, please scroll down to the next post below this one. It's a great hop. Hope you can join us. If you're here from SSDS, here is this week's card. 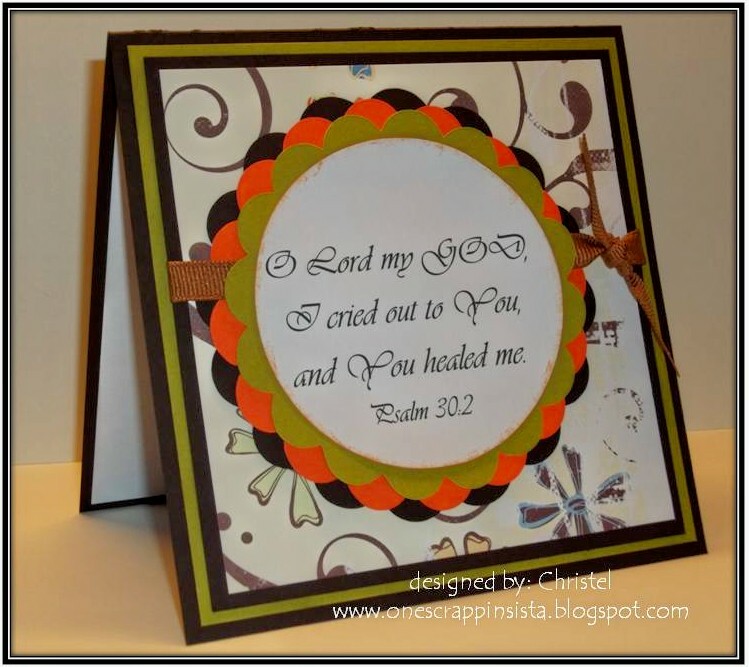 Our challenge was to scraplift a DT card. It didn't have to be from one of our DT sisters but just a card we liked. 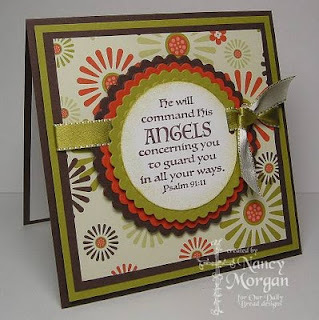 I love this card from Nancy Morgan who is a part of the DT at Our Daily Bread Designs. Here is my take on her inspiration. My mom asked me for a card for our cousin who just got out of the hospital. 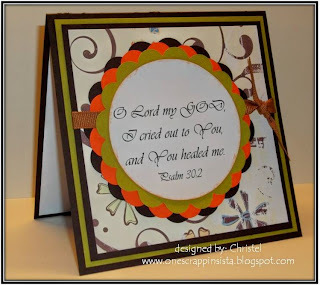 I immediately thought of this card and asked her for a scripture that she would like to feature on the front. I made a matching envelope to go with the card. What do you think? what a great card, love your take! These are great, love the papers! great project! 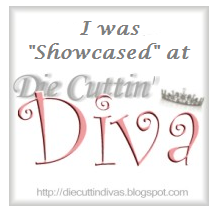 Thanks for sharing!!! For some reason I could not leave a comment under your snowman project so here it goes LOL! I love the way you flaunted all of your adorable snowmen! Great ideas for all of the projects you made. Thank you so much for joining us on our 1st ever Flaunt it Friday's Challenge. Hope to see you again next week! Beautiful! TFS became a follower!